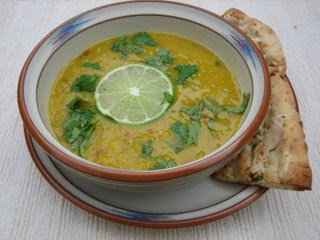 How about a culinary journey to India for a taste of a simple dahl -- a mildly spicy lentil stew? 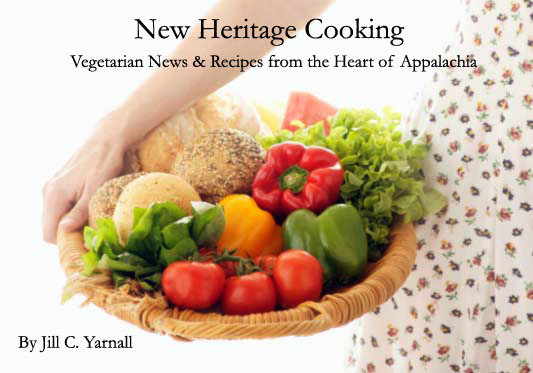 Try serving it with naan (an Indian flatbread available in the freezer of ethnic markets or natural food stores), a green salad, and some tropical fruit, like pineapple or kiwi. Yummy! In a large saucepan, warm canola oil and butter over medium heat until melted. Add onions and sautee until translucent and soft – about five minutes. Add garlic and spices. Sautee until fragrant – about 1 minute. Add water, salt and lentils. Cover. Bring to a boil, boil 1 minute, reduce heat and let simmer until lentils are soft – about 30 minutes. Stir in cilantro and lime.